What is new in AccuWebHosting’s recently-launched Windows Server 2016 Hosting? Here at AccuWebHosting, we believe in offering the latest and most updated technologies to their clients. As a result of this urge to always be up-to-date, we now feature the new Windows Server 2016 shared hosting plan. This hosting plan comes with ultra-fast SSD storage for Windows Server and SQL Server, Windows Server 2016, SQL Server 2017, a dedicated application pool, the latest ASP.Net Core, and Node.js. And all of these are powered by Plesk control panel. In this edition, Microsoft has implemented a number of new, impressive features that improve both the performance and security of the OS. These include Compute, Nano Server, Resilient File System (ReFS), Active Directory Federation Services (ADFS), and Storage Spaces Direct. What New Have We Introduced? Pertaining to the control panel of our Windows Server 2016 Edition hosting, we opted for the widely-used Plesk Onyx Host Edition. The interface is quite simple and easy-to-use, so you can manage your web services with ease. You can easily create and manage users, email accounts, FTP accounts, databases, host domains and many more, and also manage your website from one place. In Plesk, you can easily add, deploy, configure and remove platforms for any domain with one click. Platforms include WordPress, Joomla, and Drupal. Also, you can easily migrate your account from any version of Plesk. This version supports HTTP/2protocol, which reuses the connection to serve multiple requests and decrease latency. If you want to point multiple hostnames (e.g. abc.example.com, xyz.example.com) to the same website, you will find the Wildcard Host Header feature handy. With this version of MSSQL Server Database, you are in for faster queries with simultaneous analytics and transaction processing. Other features include encrypted row-level security, data masking, and fine-grained auditing. Altogether, these features increase the security of your data. You can also migrate data from other editions with ease. This is an upgrade to MySQL Server 5.6 and it offers higher performance and improved manageability. The query performance is also better because the query optimizer has better control over seek times, memory, RAM table, and other hardware. However, the most impressive feature of MySQL 5.7 is its multi-sources replication, which you can use to point multiple master servers to slave servers. This way, there is no more limitation of slave servers having only one master. Compared to any of the previous versions, SmarterMail 16.x offers better speed and performance. Accessing the mail server on mobile and tablet devices offers the same features as accessing on a desktop device. Also, you can easily share your contacts, calendars, tasks, notes, and email folders. Lastly, you can customize and display a custom login page with an elegant background. With PHP 7.2, you get new features and security functions, which boost both performance and security of the data. These include type widening, object type hinting, Libsodium extension support and argon 2 hashing algorithm. When we talk about web frameworks, ASP.Net Core is definitely one of the best ever developed. It is an open-source web framework that can be used to build, develop, and run modern web applications on Windows, Linux, and macOS. It includes the MVC framework, which combines the features of MVC and Web API into a single web programming framework. If you want to integrate a client-side framework such as Bootstrap, KnockoutJS or AngularJS with your web applications, ASP.Net Core makes it easy to do so seamlessly. Also, you can deploy .NET Core and the .NET Framework runtime for the best output. As a certificate authority (CA), Let’s Encrypt lets you create a free SSL Certificate for your website or domain name. We know you would find this handy so we have included it in the Plesk control panel. With just a few clicks, you can secure your domains, subdomains, domain aliases, and webmails. In addition, this tool automatically renews your certificates so you do not have to worry when a certificate is no more valid. In this time of ours, sending any form of data over any public network without encryption is either highly risky or completely prohibited. To rectify this issue, our Windows Server 2016 Edition shared hosting plan features FTP over SSL (FTPS). This tool helps protect your data transfers by encrypting the data using the anterior SSL encryption provided by Let’s Encrypt before starting the transfer. As you may know, a dedicated application pool is a collection of one or more websites running with a single identity as a single process called w3wp.exe. We use it to separate a set of IIS worker processes (w3wp.exe) that share the same application and configuration boundaries. You also have dedicated server resources such as RAM, which you can use for your application. And since your application is separated from other applications, you would get better security, reliability, performance, and even availability. If you want accurate and detailed analysis and interpretation, you will find Crystal Report extremely useful. It is designed and developed to provide users with data and to work in tandem with databases. In order to make this efficient, we employ the use of SAP Crystal report, which creates powerful, richly- formatted, and dynamic reports from any data source whatsoever. It delivers the reports in dozens of different formats and up to 28 languages. With the reports, you can take fast, accurate, deliberate, and strategic decisions to better the performance of your website or web app. Whether online or offline, it allows you to access the data on any device via many applications and portals. With trust level, you can set certain security rules for your website. This technology is based on the policy file by using the security policy configuration. This configuration is located in an application file called web.config and is valid at the machine (computer) level and application level. Trust level control the operations carried out by an application, which includes accessing the registry, reading a disc, changing the file permission, and customizing system files. Thanks to our Windows Server 2016 Edition shared hosting plan, you get full trust level in the local system. Nonetheless, we do not apply any additional policy to applications running at full trust level. Provided you have any question to ask or inquiry to make regarding the new features, just put a quick comment below and we will get back to you with more details as soon as possible. If you want to share your inputs about including a new article, you are also welcome to submit a comment. 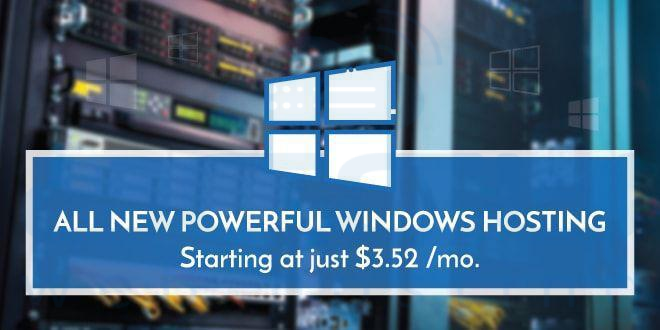 How Does the Windows 8.1 Update Affect Web Hosting Options?